THE amount of waste being disposed of at landfill continues to increase in the face of an EU directive on reduction. This country runs the risk of breaking EU environmental targets following an EPA report that shows biodegradable municipal waste has risen by 15% and the quantity of municipal waste is up by 11% on the previous year. The collection of 7.4kg of waste electrical and electronic equipment per capita is almost double the EU target of 4kg per capita, the National Waste Report 2006 shows. Construction and demolition waste accounts for 55% of all waste and stands at almost 17 million tonnes. “This report shows that the amount of waste going to landfill is increasing, not decreasing as we would have expected if Ireland is to meet its EU commitment to landfill less than one million tonnes of biodegradable municipal waste by 2010,” said deputy director general of the EPA Dr Padraic Larkin. “The EPA is calling for urgent action to reverse this trend. There are several policy instruments that could turn the tide within one to two years. These include increasing the landfill levy and banning the landfilling of untreated waste. “This problem must be tackled in 2008,” said Mr Larkin. The report shows that the quantity of waste being recycled continues to rise with recycled municipal waste up by 18%; recycled household waste up by 14% and recycled packaging waste up by 8%. The quantity of municipal waste sent to landfill increased by 8%. Urgent action is required to reverse this trend if Ireland is to have any chance of meeting the landfill diversion targets for 2010 set by the Landfill Directive. Despite the increases in the actual quantity of waste recycled, the rate of municipal waste recycling only increased from 34% in 2005 to 36% in 2006. The recycling rate for household waste remained at 22% in the same period despite the roll-out in all parts of the country of two-bin and three-bin systems for household waste collection and the large-scale use of bring banks, where 14% more waste was deposited in 2006, and civic amenity sites, where 84% more waste was deposited in 2006. Dr Gerry Byrne, EPA programme manager, said: “Overall, there is very good progress to report on the recycling front. Householders and businesses are willing to recycle once they are given the appropriate incentives and services. “Significant problems remain with regard to waste disposal. Urgent action is required in 2008 to divert waste from landfill and prevent further increases in waste generation,” said Dr Byrne. A new housing quarter for up to 1,500 people and the establishment of a country park are among the proposals in a new plan for the historic village of Slane, Co Meath. The plan, which was presented to locals at a meeting last night, envisages the restoration of the Boyne Valley canal allowing the village to be linked with nearby Newgrange, and the creation of a local museum in the town. Elsewhere, it suggests that a computer link could be established with the Newgrange interpretive centre, allowing tourists to avail of a shuttle bus service to the Newgrange monument. The "village design statement", which was undertaken on behalf of the Slane Community Forum by Prof Philip Geoghegan of UCD, calls for a number of derelict or neglected buildings in the town to be the subject of conservation works. Commenting on the proposals, Prof Geoghegan said high traffic volumes were destroying "the fabric of the village". "It is astonishing that the N2 still goes through one of the most remarkable crossroads in Ireland," he said. "While the fact that a bypass has been proposed is welcome, there is a need for a commitment to a timetable. "It amazes me that in the absence of the bypass, there haven't been any measures introduced to restrict the access of heavy traffic to Slane." Any development of a new quarter would be aimed at "invigorating" the village and should not lead simply to the creation of a commuter village, Prof Geoghegan said. Slane Community Forum is a collection of community groups, clubs and associations set up to address what locals say is a serious decline in the numbers of visitors to the village, and the closure of a number of shops and businesses. A senior council planner has expressed concern that the proposed move by the Port of Cork of its container terminal from Tivoli to Ringaskiddy farther down Cork Harbour should not take place before a major upgrading of the road network. Cork County Council acting senior planner Noel Sheridan raised the issue of upgrading the N28 for extra container traffic to Ringaskiddy in a report prepared for Cork county manager Martin Riordan, presented to this week's council meeting. The proposal to transfer the container terminal from Tivoli in the upper reaches of Cork Harbour to the Oyster Bank in Ringaskiddy is part of a €160 million plan to transfer all Port of Cork operations downstream. In his report Mr Sheridan said the planned move was consistent with strategic planning for the Cork region, and the land use and zoning objectives for land at Ringaskiddy. However, he said the development should not become operational without the planned upgrading of the N28 to dual-carriageway status to take the extra traffic. The Port of Cork has applied to An Bord Pleanála to relocate its container terminal and its roll-on, roll-off facility from Tivoli downstream to Ringaskiddy. The new facility will cover 37 hectares, including 18 hectares of reclaimed land. It will involve the dredging of the sea bed to a depth of 13.5m, the creation of almost 800m of quay wall, and the installation of container cranes 80m high. According to figures provided by the Port of Cork, the port has the second largest volume of trade in the Republic. The move is necessary as Tivoli has limited capacity, which is likely to be reached by 2010/2011. Among the constraints at Tivoli are limited vessel size and vessel numbers, tidal restrictions on larger vessels, poor road access and a trend towards bigger container vessels which Tivoli cannot handle. The master plan for the Port of Cork envisages the full development of all port activities at Ringaskiddy by 2026. However, this would see a major increase in heavy goods vehicles (HGVs), which would rise from 15 per cent of traffic in 2011 to 53 per cent by 2026. Mr Sheridan said the traffic volumes were such that upgrading the N28 to dual-carriageway was required, which would also bypass Ringaskiddy and Shanbally. He noted that the National Roads Authority (NRA) had given no timescale for such upgrading. "It would not be logical to allow the port development proceed without certainty that the planned upgrade of the N28 will take place," said Mr Sheridan, adding that an environmental impact study (EIS) submitted by the Port of Cork noted the possibility even after upgrading of delays at the Jack Lynch Tunnel. The Port of Cork has plans to make Ringaskiddy a European hub port with the capacity to handle 600,000 to 800,000 containers. However, the proposal has met with opposition from local residents and a number of groups in the lower harbour area. Resident associations want infrastructure work carried out in the villages of Tarbert and Ballylongford, including safety measures near schools, to deal with traffic from the construction of a liquified natural gas terminal on the Shannon estuary in Co Kerry. The seventh day of an oral hearing into the project in a Tralee hotel heard how at its peak 650 people will be working on the €500 million project during the four years of construction. It will supply 40 per cent of the country's natural gas needs. Kerry County Council's director of forward planning Tom Sheehy said the council was asking An Bord Pleanála to impose a condition on the developer of €7.2 million to supply water to the site, for specialist fire-fighting equipment and for training before the terminal is built. The council is also asking that a bond of €5 million be lodged to ensure completion of such work. It has also seeking an annual contribution of €200,000 from the developer to the local community. However, Kilcolgan residents yesterday said the bond figure was not enough, and more money was needed to address the construction problems.They said the village of Ballylongford was not designed to deal with the huge increase in construction traffic. Some landowners have also said the exact route of the 25km pipeline from the plant to the national gas network should have been published in tandem with the terminal application. Roads funding needs to be diverted to pay for public transport, and inner Dublin's "miserable" one-way street system must be overhauled, Minister for Natural Resources Eamon Ryan told a Dublin audience last night. The Green Minister also said that Ireland needs a carbon tax to meet its obligations to reduce greenhouse gases. "I think we do need to put a price on carbon," Mr Ryan told an audience of several hundred people last night. The Minister was speaking alongside politicians from all the major political parties at an event organised by lobby group People Against Climate Change. Ireland is obliged to reduce its carbon emissions from 70 million tonnes per year to 48 million by 2020 - a 3 per cent drop every year. At the moment the State's carbon output is growing, not shrinking. Mr Ryan had several practical measures for stemming the flow: "We have to switch over road programmes into public transport programmes that deliver. We need to get rid of our totally unintelligent system. Talking about Dublin, we should change the one-way system that really does make Dublin a miserable place for pedestrians and cyclists." Ireland's planning system also needs to be overhauled, the Minister aid. "This disparate form of population growth is not working. We need a much more compact, high-quality urban planning system." Debates about the impact of climate change have become redundant, he said. "There hasn't been a single frost this winter. Irish people can see it for themselves," said Mr Ryan. Other politicians at last night's event also spoke of specific measures to reduce the State's carbon output. PD Senator Fiona O'Malley said that university research laboratories need to work arm-in-arm with businesses to develop more environmentally friendly ways of operating. She said an outer-urban bus system in Dublin should operate separately from an inner service, meaning commuters would catch two buses to get to work. Fine Gael's Simon Coveney called for the end of peat-burning power plants. "It's a filthy fuel source," he said. Sinn Féin's Bairbre de Brún said Ireland's car dependency needed to be broken, and said that people who take two overseas holidays a year don't realise how much their lifestyle is damaging the environment. Ireland is to face fresh EU environmental sanctions within two years if it does not dramatically reduce the amount of biodegradable waste being dumped in landfill sites. That is according to the Environmental Protection Agency, which claims the Government is in "significant danger" of missing its EU targets for diverting recyclable waste from landfill. In a new report, the environment watchdog also says the amount of biodegradable waste going to landfill is increasing despite a national commitment to recycling. Minister for the Environment John Gormley last night admitted national waste policies were not working. He said his waste policy review, which he announced in response to the granting of planning permission for the Poolbeg incinerator last November, and which he has said will demonstrate that large-scale incineration is unviable, will also focus on the landfill problem. Almost 50 per cent more biodegradable waste, including food and garden waste, paper, cardboard, wood and textiles, is being sent to landfill than the target level for 2010. The EPA's National Waste Report 2006 found that the amount of biodegradable waste dumped increased by 9 per cent to 1.4 million tonnes, while the 2010 target is 967,000 tonnes. Under the 1999 EU landfill directive, Ireland will be fined if it fails to meet the target. The directive also requires Ireland to put in place a biodegradable waste strategy to meet the target. Ireland published this strategy in 2006, but must now implement it as a matter of urgency, the EPA said. "This report shows that the amount of waste going to landfill is increasing, not decreasing as we would have expected if Ireland is to meet its EU commitment to landfill less than one million tonnes of biodegradable municipal waste by 2010. The EPA is calling for urgent action to reverse this trend," deputy EPA director Dr Padraic Larkin said. The Government could meet the target, Dr Larkin said, if it was prepared to take measures such as banning untreated waste in landfills and increasing landfill levies. Mr Gormley last night promised that these levies would be increased. "It is clear that landfill has become more attractive as gate fees have fallen and this has happened at a time when Ireland needs to be making more progress towards diverting material, particularly biodegradable waste, away from landfill. I propose, therefore, to introduce an increase in the landfill levy at the earliest opportunity to encourage recycling." The increasing quantity of waste going to landfill was keeping recycling rates lower than they should be, the EPA said. The recycling rate for household waste was static at 22 per cent in 2006 despite the introduction "in all parts of the country" the EPA said, of green and brown bins and recycling bring banks. However, Mr Gormley said the roll-out of recycling bins by local authorities and the private sector was insufficient. "To date, only a limited number of households have had brown bin collection services but I want to see all those engaged in waste collection - both public and private sector operators - accelerate their plans for the provision of segregated collections for organic waste." Prevention of waste was the key to reducing landfill volumes, the EPA said. Despite significant increases in the quantity of packaging waste recycled, the rate of packaging waste recycling actually decreased from 59 per cent in 2005 to 57 per cent in 2006. Mr Gormley said he was confident that the waste review would bring about the required landfill reductions. The EPA's National Waste Report 2006 found that the amount of biodegradable waste dumped increased by 9 per cent to 1.4 million tonnes, while the 2010 target is 967,000 tonnes. A liquified natural gas facility on the Shannon estuary would not threaten the resident bottlenose dolphin population, the nearby Ballylongford oyster beds or the salmon population, a Bord Pleanála hearing has been told, writes Anne Lucey . Independent experts retained by Shannon LNG to study the effects of the project on the ecology of the estuary told the sixth day of the oral hearing in Tralee that the increase of five or more per cent in shipping channel traffic brought about by the 125 LNG ships would not harm marine life. They said Shannon LNG had agreed to conditions suggested by the Department of the Environment and would ensure discharges were treated before entering the estuary. Earlier MEP Kathy Sinnott told the meeting on behalf of the Kilcolgan residents that "LNG is both dirty and dangerous". Rules carefully laid down in Fingal's County Development Plan are not being followed when planning permissions are granted according to frustrated councillors who want planners to stick to the guidelines. Rules on heights and densities of developments around the county were thrashed out in the council chamber when the County Development Plan was formulated in 2005. But a number of councillors have expressed frustration that those rules are being ignored in certain developments around the county and developers are getting away with it. Cllr Joan Maher (FG) raised the issue at last week's full council meeting and insisted that the council ensure that the County Development Plan is implemented in full when dealing with planning application. The Fine Gael councillor's motion found support from Cllr David Healy (GP) who told the meeting that he expected the 'clear and simple' limits set down in the County Development Plan to be followed. Cllr Anne Devitt (FG) said that a lot of work had gone into the County Development Plan and words were very carefully chosen. She said it was 'very frustrating' when planners took a different interpretation of the rules. The council's Planning Department said that height and density restrictions are judged on a case-by-case basis and the requirements of the County Development Plan as well as government guidelines from the Department of the Environment were taken into account in considering each application. County Manager, David O'Connor said he was sympathetic to the councillors' concerns and said the matter needed to be discussed in greater detail between the councillors and county planners. 'Serial objectors' are the new nuisance on the block according to Kerry County Council, who are to write to the Minister of the Environment to stamp out what they say are nuisance planning objectors. Speaking at the Council chambers on Monday, both Cllr Dinny and Michael Healy-Rae asked for the support of the Council in writing to the Minister to do something about objectors who appeal decisions to an Bord Pleanala granted to family members by Kerry County Council. They stated that family members are entitled to planning permission on family land and that a recent spate of unreasonable objections has caused a number of families great distress. Stating that families are being devastated by the appeals, Cllr Danny Healy-Rae said "We need to ask Minister Gormley about what we can do about this". Cllr Robert Beasley concurred, saying that it caused fierce hardship for families involved. He suggested that an increase in the objector's fee may weed out "serial objectors". It was agreed that a letter be sent to Minister John Gormley to help Kerry County Council devise a solution. SOUTH Tipperary County Council has urged An Bord Pleanála to reject the application of a company that wants to develop an animal by-products processing plant in a rural area close to horse training and breeding establishments. Council officials yesterday defended their decision to turn down an application by Green Organics Energy (GOE) Ltd for permission to develop a bio-energy plant, which would use by-products from slaughterhouses, at a site in Castleblake, Rosegreen, halfway between Clonmel and Cashel. Speaking at a Bord Pleanála hearing into GOE’s appeal council senior planner James O’Mahony said that the reports prepared by and for the council, along with the “public disquiet” as evidenced by close to 1,000 submissions and observations, meant that any decision other than to refuse permission would be “contrary to the proper planning and sustainable development of the area”. Mr O’Mahony described as “ludicrous” a suggestion from GOE that the Castleblake location was suitable for an animal by-products processing plant because of the proximity of cattle. He also called on the developers to unconditionally withdraw a claim that the council planners had not made an objective assessment but had started by deciding to refuse permission and then finding grounds to support that decision. “The statement undermines the integrity of the planning authority,” he said. According to Mr O’Mahony, it was “factually wrong” of GOE to argue that the Castleblake site was a suitable one because it had been the location of a rendering plant. “The new operation is different in respect of the imported feedstocks and produces totally different outputs,” he said. The plant would also be “totally different” in process, size and scale to the rendering plant, which closed in 2003, he said. A number of local residents and businesspeople also gave evidence in support of the council’s refusal. Pat Murphy, owner of the Cashel Palace Hotel, about 7km from the site of the proposed development, said that the smell from the rendering plant had created “a very bad impression” in Cashel. Raymond Davern, owner of a clothing shop in the town, said that there had been an “upturn in business” since the rendering plant’s closure. However, he feared further problems if trucks carrying animal by-products started coming through Cashel again. Farmer Michael Mulcahy, who lives 500m from the site said that road safety was a big issue in the area. “I can’t imagine what it will be like if the amount of trucks increases,” he said. Another farmer Kevin Mulcahy said that he had been shown a map marked with proposed earthworks and excavations on his land as part of a road improvement plan, but that he did not consent to these. The cross-examination of some expert witnesses who gave evidence last week got under way yesterday evening and is expected to continue until at least Thursday. The hearing continues today. A Green Party councillor was last night claiming victory in his move to have TDs banned from the non-public sections of Clare County Council's planning offices. At the council's January meeting, Cllr Brian Meaney (Green) tabled a motion to have Clare's four Dáil deputies banned from securing access to the non-public sections of the planning offices. However, the motion coincided with plans by the council executive to ban councillors themselves from the non-public sections. As a result, councillors and the officials held a meeting behind closed doors last Monday against the background of TDs railing against the move to have them banned. Cllr Meaney's motion was adjourned to yesterday's meeting and he said he was withdrawing his motion. Speaking after the meeting, Cllr Meaney confirmed that at the private council meeting last week, the county manager, Alec Fleming, said that the 32 members of the council would be provided with electronic cards that would ensure unhindered access to the planning office. Cllr Meaney said: "I'm happy under this new arrangement that the TDs will no longer have access and be able to skulk around the planning office." Mayor of Clare Cllr Patricia McCarthy (Ind) said: "The issue of access for councillors to the non-public section of the planning office has been clarified and councillors are to be issued with key cards. "In relation to anyone else, it is a matter for the county manager to manage who has access to and from the council headquarters." Cllr Martin Conway (FG) said that the withdrawal by Cllr Meaney of his motion was a good compromise. He said: "Councillors will still have access to the planning department, but we have given an undertaking that we will only use the keys in special circumstances." Dublin Bus has unveiled plans to build a purpose-built bus depot on a 10-acre site at Grange Castle in west Dublin. A planning application for the development is to be lodged with South Dublin County Council in the next month. The zoning of the site at Grange Castle on the Adamstown/Newcastle Road adjacent to Grange Castle Business Park already allows for such a facility. Subject to planning permission, Dublin Bus envisages that construction of the facility will begin early next year and will be completed by the end of 2010. If planning permission is granted, Dublin Bus will invite tenders to compete for the construction of the depot and will not be disclosing the costs of the development until after the tendering process is finished. The planned depot is designed to serve some of the fastest growing parts of west and south Dublin, including Clondalkin, south Lucan, Liffey Valley, Tallaght and Adamstown. A quality bus corridor will operate between the city centre, Clondalkin and the proposed depot. The site was chosen because of its proximity to major road routes including the M50, N7, N4 and N81 and the possibility of expanded services with any future Dublin outer ring road. Bungalow-type dwellings have been found to be the least energy efficient when it comes to complying with new energy regulations, according to a UCD study. From July 1st, new dwellings seeking planning permission will have to achieve a 40 per cent reduction in energy consumption and a 40 per cent reduction in related CO2 emissions. The UCD study, commissioned by the Department of the Environment, looked at nine different-sized detached, semi-detached and terraced houses and apartments, to see how they would comply with the 40 per cent reduction in energy consumption. Vivienne Brophy, director of UCD energy group, said the bungalow was the only dwelling type which still did not comply with the proposed regulations after a number of modifications were made. Changes included improving insulation, glazing and boiler efficiency and switching to low-energy lighting. The apartments and a terraced house were the first of the nine dwellings to comply after initial modifications were made. Ms Brophy outlined the findings yesterday at a conference for architects and planners, organised by the Royal Institute of Architects in Ireland with the Department of the Environment and the Centre for Housing Research. Minister for the Environment John Gormley told the conference that the Government was fully committed to ensuring that the 40 per cent target would be met. He said the regulations - known as Part L - would also affect some existing homes if boilers were being replaced. New boilers will have to have an energy efficiency of at least 86 per cent, compared with an average of 70-80 per cent in currently installed boilers. The conference also heard about the need to start designing houses for a changing climate. Bill Gething, of the Architects' Council of Europe, said summer overheating would have to be countered with measures such as large and secure ventilation openings, carefully orientated modest-sized windows and low-energy appliances. Architect and broadcaster Duncan Stewart said the slowdown in the housing market gave an opportunity to developers to respond to climate change needs. IRELAND’S commitment to developing a cleaner, greener, more sustainable environment offers architects a world of opportunities and exciting design challenges, according to a leading academic. Despite ongoing uncertainty in the construction sector, the future for architectural graduates has never looked brighter, says Sharon O’Brien, the acting head of the department of architecture at Waterford Institute of Technology. The majority of architectural graduates have traditionally entered architectural design offices upon graduation. This trend is changing and today an architectural education opens up many possibilities for employment, she said. “Architects are now sought in the public sector as advisors and designers on the build environment in the areas of urban and rural planning and in the conservation of the historic fabric of our cities, towns and villages. With the pressing need to address sustainability more will become advisors and design specialists in greener design,” said Ms O’Brien. The new department of architecture at Waterford Institute of Technology provides a “learning through doing” environment for the education of architects, architectural technicians and architectural technologists where the studio becomes the workshop, where ideas and practice are tested in model and drawing form, said the acting head of department. “We offer four degree level programmes, the existing three-year BSc in architectural technology and an add-on one-year BSc (honours) in architectural technology. In 2005, the department of architecture began to run its architectural programme. “In many respects this was an historic event in the history of architectural education in Ireland as Waterford Institute of Technology was the first third level institution in Ireland outside Dublin to receive academic validation for a new architecture degree programme. “The programme currently on offer is a five-year degree leading to a Bachelor of Architecture (hons) with an intermediate BScArch. (hons) degree offered after three years,” she said. The programme is modularised and semesterised and this approach facilitates part time and full time modes of study. Its system of electives encourages diverse avenues of interest through collaborations with existing schools at WIT, namely the schools of engineering, humanities and business. About half of the first year places will be offered directly via the central CAO route, the other half reserved for graduates from related disciplines, transfer students and mature applicants who have successfully completed an assessment procedure. This non-traditional open access policy creates greater diversity within the student body leading to a stimulating dynamic within the studio. The cut-off for this year’s programme is 470 points. The department of architecture has an international lecturing staff with practice experience in France, Germany, Britain, Finland, America and Canada. The department has established links with the leading French school of architecture at Marne La Vallee, in Paris and with the world renowned Renzo Piano Building Workshop. International architects participate on the programme as guest lecturers, and tutors. Erasmus exchange students from France and Germany have already participated in the programme. Cultural trips to European capital cities are also an important element of each year on the Bachelor of Architecture degree. Members of the public in Clare, Galway and North Tipperary and are being asked for their input on the formulation of a tourism and recreational development strategy for Lough Derg. The aim of the 'Lough Derg Sustainable Marina, Recreational & Tourism Development Strategy' is to maintain and improve tourism visitor services, recreational facilities and environmental amenities around the lake and River Shannon. Clare County Council (Lead Partner), Galway County Council, North Tipperary County Council and Shannon Development are currently conducting a study that will formulate a strategy for the provision of marina and tourism-related developments along the shoreline of Lough Derg. The study will focus on identifying existing facilities and determining future market demand for marina/berthing/moorings or other relevant tourism developments around the lake. * Kincora Hall Hotel, Killaloe, County Clare (2-8pm, Thursday 31st Jan). "It is important that anyone with an interest in the future development of Lough Derg and its shoreline attend the upcoming public meetings" - stated Mr. John Bradley, Senior Executive Planner, Clare County Council. "Lough Derg is one of Ireland's most valued tourism assets - but, it is also a vulnerable landscape, which is why it is imperative that it is the subject of an extensive development strategy. "The study partners - in conjunction with the local community and interested parties - must ensure that an appropriate balance is established, with development in the most appropriate locations and the protection of vulnerable areas." A Vulnerable Landscape Survey will feature as part of the strategy formulation process. The aim of the habitat survey of lands in the Clare and Galway County areas of Lough Derg is to determine the presence of features of archaeological, geological or cultural interest, habitats and species. Among the sources of information referenced during the course of the survey will be the Clare Landscape Character Assessment, data from the Shannon River Basin District, Local Biodiversity Area reports and EIS reports. Meanwhile, a survey of marina and related water facilities at Lough Derg will also take place. The survey will take into account private individual moorings, public berthings, private group berthings and floating buoys around the lake. Presently, there are twelve public harbours located on Lough Derg at Killaloe, Mountshannon, Williamstown, Scariff, Tuamgraney (Clare), Garrykennedy, Ballina, Dromineer, Kilgarven, Terryglass (Tipperary), Rosmore and Portumna (Galway). There are also eight private harbours. "All the indications are that demand for moorings will continue to increase on and around Lough Derg" - added Mr, Bradley. "This increased demand will lead to various problems - including illegal moorings, overuse of public harbour facilities and increased and overuse of existing private marina facilities. "Therefore, it is incumbent on the planning authorities to quickly establish an effective long-term strategy that will address this anticipated increased demand." It is anticipated that the study will be completed within three months. Ireland is still not doing enough to protect the environment, despite the country's green efforts and reputation, the author of a new guide book says. The 8th edition of Lonely Planet's guide to Ireland points out that the country's carbon footprint is 'more than double the global average'. It also explains how recent polls have shown that 'the Irish are slightly less concerned about the environment than are the citizens of most other European countries'. The guide says - 'Ireland's 40 shades of green don't, it seems, include the all-important eco-green' - and emphasises the impact environmental damage could have on tourism. It adds - 'Sustainable travel has to become a core issue if Ireland is to continue attracting visitors with its mix of great scenic beauty, distinctive heritage and wonderful culture'. However, although the guide identifies areas where more could be done, it also recognises the positive actions the country has taken to tackle the issue. The guide also acknowledges that - 'Ireland's eco credentials are only just being established' - and explains that, compared to other countries, 'Ireland does not rate among the world's biggest offenders when it comes to polluting the environment'. Author Fionn Davenport describes Ireland as "the envy of Europe" for introducing recycling programmes to address environmental issues and to counteract the problems which the thriving economy has caused. The guide supports this - explaining that the "plastic bag tax - dubbed 'the plastax' - resulted in a 90% drop in bag waste and has proved remarkably effective, reducing the use of these noxious carriers by up to 40%". The guide goes on to say that following its success 'Northern Ireland introduced a 5p levy in July 2007'. While Ireland could do better environmentally, Davenport boasts that it's still a great place for an eco-friendly break - "Ireland's green natural landscapes are ideal for a host of outdoor activities, such as diving, surfing and fishing." The guide says - 'Ireland's comprehensive and efficient bus network makes it easy to avoid the use of a car and the country is well suited to cycling and walking holidays. Many hotels, guesthouses and hostels tout green credentials and organic ingredients are frequently promoted on restaurant menus'. The book shows travellers how they can travel sustainably and highlights the many eco-experiences for visitors. The guide introduces 'Greendex' - a reference index of attractions, tours, restaurants and accommodation that run along sustainable lines. Davenport says - "Throughout this book, we have endeavoured to highlight any accommodation or project that puts green issues at the forefront of their planning" - to encourage travellers to choose holidays that have a positive impact on the environment, culture and economy. There is also a new food chapter, highlighting the rediscovery of Irish traditional cuisine, with a focus on local farmers and locally-sourced produce. The book describes Belfast as being 'once lumped with Beirut, Baghdad and Bosnia as one the four 'B's for travellers to avoid'. However, 'Belfast has pulled off a remarkable transformation - from bombs-and-bullets pariah, to hip-hotels-and-hedonism party town'. The EPA has released a report entitled - 'The Provision and Quality of Drinking Water in Ireland: A Report for the Years 2006 - 2007'. This is the EPA's first report on drinking water quality since new Regulations were introduced in March 2007. These new Regulations provide a greater level of consumer protection by requiring public water suppliers to notify the EPA and the Health Service Executive where there is a potential risk to human health and to comply with their directions. The report is based on the results of over 220,000 individual analyses of drinking water samples. * The EPA has now identified over 300 public water supplies - representing 36 per cent of all public drinking water supplies - that require detailed profiling from catchment to consumer to determine whether the supply needs to be replaced or upgraded - or where operational practices need to be improved to ensure that the water supplied to the general public is clean and wholesome. In setting out his enforcement plan for 2008, Dara Lynott, Director, EPA Office of Environmental Enforcement said - "The enforcement of the drinking water Regulations by the EPA will be risk-based and outcome-driven. The principal risks to drinking water are those that have a health impact - particularly contamination of supplies associated with E. coli and Cryptosporidium. The highest number of notifications received by the EPA in 2007 related to contamination of supplies with E. coli. This situation is unacceptable." Gerard O'Leary, Programme Manager, EPA Office of Environmental Enforcement said - "There are two requirements in providing clean and wholesome drinking water - firstly, the water supplier needs to ensure that water is safe to drink and, secondly, the water supplier needs to ensure that the water supply is secure." By way of example, the report highlights that the Galway City water supply was sampled over 500 times in 2006 and over 99 per cent of samples were compliant. However, the supply was also classified as very high-risk in relation to Cryptosporidium contamination and, in fact, there was a very significant outbreak of Cryptosporidium in 2007, which resulted in a boil notice on drinking water in Galway city for over five months. As Gerard O'Leary explains - "The Cryptosporidium contamination of the Galway City water supply shows that sampling at the tap - on its own - does not guarantee the safety of the drinking water supply, if the security of the supply has not been dealt with. Compliance with the 48 drinking water standards has to be taken as the minimum requirement to be achieved and not something to be aspired to over a number of years." He added - "The ability of water suppliers to provide clean and wholesome drinking water will be determined by using a wider range of control and management criteria than has previously been the case." To provide for a safe and secure drinking water supply, the EPA now requires that all risks associated with a water supply be identified, monitored and managed. * liaison with the Department of Environment, Heritage and Local Government. These actions will require the replacement of some supplies, a significant capital investment in other supplies and/or significant changes in operational practices. The priority for the EPA's enforcement effort in 2008 will be to work with local authorities to secure drinking water supply into the future. * Publish guidance on how local authorities are to implement the Regulations - including binding guidelines on auditing. The National Roads Authority is to spend almost €1.7 billion this year in a move which will see construction start on the final projects of the Government's inter-urban motorway programme. Tim O'Brien reports. Just four projects remain to be started in the programme which aims to link the regional cities of Galway, Limerick, Cork and Waterford with Dublin by high quality roads by 2010. • two schemes on the N7, Casteltown to Nenagh and rebuilding the junction at Newlands Cross. • the Carlow bypass which is also due to open in the autumn. In addition to those starting and those being completed this year, work is to continue into 2009 on some seven schemes on the major inter-urban routes. These are: Leixlip to the M50 junction on the N4 to be completed in 2009; Athlone to Ballinasloe on the N6 in 2009; Ballinasloe to Galway in 2010; Nenagh to Limerick on the N7 in 2009; Culahill to Cashel on the N8 in 2009; and Portlaoise to Cullahill/Castletown on the M8/M9 by 2010. But the authority said yesterday that while priority was being placed on completing the inter-urban routes, 2008 would also see the start of schemes linking Oranmore to Gort, and Gort to the Cusheen bypass. This route will provide an inter-urban motorway between Limerick and Galway on the N18, the first phase of the Atlantic Corridor. The authority will also start work on the Tullamore bypass on the N52 in Co Offaly. The NRA has, however, been unsuccessful in convincing the Government that it should be given another €500 million a year to begin further schemes. While a number of schemes outside the major inter-urban routes are already under way, such as the M3 motorway in Co Meath, the upgrade of the M50, the Limerick tunnel and the Navan relief road, NRA chairman Peter Malone said the authority was ready to ramp up investment even further if the money was forthcoming. But he said a section of the N11 between the Rathnew bypass and Arklow which had seen record numbers of deaths in recent years would be progressed this year, in any event, with the start of a tendering process. Mr Malone also pointed out that by this autumn the upgrade of the M50 would be complete from the M1/M50 junction to Ballymount. Commenting on the situation Mr Malone said the construction industry would be able to manage the extra contracts involved with the extra €500 million, as it had many more projects lined up for the post-2010 period. But he said 2010 would see enormous benefits for regional tourism with many of the major tourist destinations becoming only a few hours from Dublin by car. He added that the new motorways and bypasses were "giving towns and villages back to the people" by removing traffic congestion from their main streets. Minister for Transport Noel Dempsey said that within three years the Republic would have a network "criss-crossing the country which would connect communities" and which would be seven times safer than the roads they replace. He also said the opening of the new roads would facilitate greater competitiveness, adding that the improvements for business were visible: "Business can do business in a more effective way," he commented. The controversial M3 motorway in Co Meath is more than one-third complete and likely to open well in advance of its autumn 2010 deadline, the National Roads Authority (NRA) said yesterday. Speaking at the announcement of NRA spending provisions for 2008, authority chairman Peter Malone revealed construction of the 60km motorway had been divided into four distinct projects by builders the Eurolink consortium. Each of the projects was bidding against the others to be the first to deliver a completed section of motorway, said Mr Malone. While Mr Malone declined to say exactly when the €900 million M3 was now expected to be completed, he said he had been told this week that 36 per cent of the work had been done. Construction contracts were signed last March and work began in earnest almost immediately. Extrapolating only on the basis that 36 per cent had been completed in 10 months, construction would take about 27 months altogether, leaving the motorway complete sometime in mid- to late 2009. However, opponents of the route of the M3 said the battle was far from over yesterday. Vincent Salafia, who took a High Court challenge in a bid to stop the road going ahead, accused the NRA of engaging in "propaganda" instead of addressing the ongoing issues with regard to national monuments and an EU case against Ireland. "It seems they are basically admitting they have rushed ahead when there is one case before the courts, the serious prospect of a second case and pressure on [Minister for Environment] Mr Gormley to intervene." Mr Salafia referred to a case being taken against Ireland in the European Court of Justice claiming that a new environmental impact assessment should have been undertaken when the Lismullin archaeological site was discovered. The motorway will have two tolls and will link Clonee on the Dublin and Meath border with Lisduff on the Cavan side of the Meath/Cavan border. It will include 50km of ancillary roads at a construction cost of €650 million. Funding is provided by the Eurolink shareholders which includes Irish firm SIAC and Concesiones de Infraestructuras de Transporte SA (Cintra). Cintra is a subsidiary of Grupo Ferrovial which was involved in building the N4 motorway, which opened about one year ahead of schedule. RESIDENTS living close to the site of a proposed bio-energy plant in south Tipperary yesterday voiced concerns about the development of a large-scale plant dealing with animal by-products in their locality. However, the company behind the planned project last night moved to assure locals about the safety of the proposal, pointing to investment “in investigating the safety and efficiency of the proposed process”. According to consortium Green Organics Energy (GOE) Ltd, “independent and internationally-renowned engineering experts have endorsed the process and recognised the potential for this facility to make a real and significant contribution to reducing our greenhouse gas emissions and our reliance on fossil fuels”. A number of people from the area around the site of the planned processing facility at Castleblake, Rosegreen — between Clonmel and Cashel — spoke of the smell which emanated from the area when a rendering plant was in operation until 2003. At a hearing held by An Bord Pleanála, residents said they feared more biological problems if the GOE consortium got the go-ahead for a plant which would process 250,000 tonnes of slaughterhouse by-products each year. South Tipperary for Clean Industry spokesperson Dr Douglas Butler said the proposal was “derisory” and “extraordinarily insulting” to the people. He raised the prospect of “bio-security problems” if the anaerobic digestion process planned by GOE for the plant broke down at any point. Chairman of the Rosegreen Development Association Hugh O’Neill said the smell from the former rendering plant was “pervasive and offensive”. Local resident Rena Maher said she lived in Rosegreen since 1969, and the air was clean only since the plant formerly operated by National By-Products closed. “For us it was not fresh air we took in for the last 35 years but stinking smelly air of the factory in Castleblake,” she said. She spoke of when her children were young, being unable to leave prams outside because of the smell from the plant, while clothes outside to dry “would stink from the smell”. GOE said last night the European Food Safety Authority “have declared this process as proven, safe and effective for the disposal of animal by-products”. The company said the management and disposal of animal by-products is today “a highly regulated area” and GOE would be held “to the highest standards in the construction and operation of this facility”, if given planning permission. Local TDs Dr Martin Mansergh, Tom Hayes and Michael Lowry gave evidence against the proposed project at the hearing. Environment Minister John Gormley has moved to allay farmers' and landowners' concerns that the presence of the protected bird of prey, the Hen Harrier will not be cited as grounds by his department for the refusal of planning permission for one-off homes. Last year he announced 169,000 hectares of land are to be designated Special Protection Areas for the protection of the Hen Harrier. The NPWS states "the main threat to the long-term survival of Hen Harriers within the site is further afforestation". The designation affects 5,500 farmers and landowners in six sites in counties Kerry, Cork, Limerick, Laois, Offaly, Monaghan, Tipperary, Galway and Clare. The largest SPA is located in the north-east Clare-south Galway area in the Slieve Aughty mountains and involves the designation of 61,000 hectares where the National Parks and Wildlife Service believe 24 pairs of Hen Harrier are present or 17% of the overall Hen Harrier population in Ireland of 130-150 pairs. In a letter to Clare County Manager, Alec Fleming, the Director of NWPS, Oonagh Buckley stated she has been directed by Mr Gormley to advise the council "where the Hen Harrier is the sole conservation interest in the SPA, the SPA designation should not be cited as grounds for refusing permission for development of single rural houses within the SPA". She said scientific advice suggests the development of single rural dwellings does not represent a threat to the bird. Cllr Pat Hayes (FF) states there are fears the SPA restriction will result in the devaluation of properties and negatively affect farming practices. Landowners wishing to object to the SPA designations have until February 8 to do so. THE sound-proofing roof tiles in the €751m Dublin Port Tunnel are set to be removed -- because they keep falling down and won't stick on. Hundreds of foam tiles on the roof of the tunnel are to be taken down this weekend after they started to fall down on trucks, sparking potential safety concerns. More than 300 metres of the soundproofing tiles will be removed and the area painted instead. When the foam tiles starting falling down there were immediate concerns that there was a potential safety risk as drivers might believe they were concrete and swerve suddenly to avoid them. When the authorities tried to stick them back up, they just fell down again. The tiles cover part of the side walls and the roof of the tunnel for the first 150 metres in each direction and were designed to reduce the noise of the trucks as they entered and left the tunnel. But the National Roads Authority (NRA) decided they were also of limited use for this purpose and the falling tiles caused major maintenance headaches. A NRA spokesman said the cost involved in removing the tiles would not be significant and would be accommodated in the maintenance budget for the tunnel. The authority said that as part of the tunnel construction, acoustic foam tiles were placed on the roof of the tunnel for 150 metres on either approach to evaluate their effectiveness in absorbing the noise of vehicles passing through. The NRA said they reviewed the effectiveness of the tiles and concluded they were of limited value. The tiles were also causing a significant workload as they kept falling off and had to be stuck back on. However, even with the adhesive, the tiles continued to fall off. The upshot is that the authority decided to remove the tiles and coat the empty spaces with ceramic paint. The operation will take place tonight and tomorrow during the routine night-time shutdown for maintenance. The tunnel, which opened in December 2006 at a cost of €751m, has removed more than 6,000 trucks from the city's quays. However, the truckers are forced instead to use the congested M50 to access the tunnel and Dublin Port. A RAFT of new targets introduced to tackle climate change are set to cost Ireland around €1bn per year. On average, every person in the EU will pay €3 per week towards the ambitious plan which amounts to over €12m each week in Ireland alone. The cost of the overall EU plan works out at an average of 0.5pc of EU gross domestic product (GDP), meaning Ireland could face an even bigger annual bill, according to European Commission estimates. This would be over €900m using current figures. The cost of doing nothing to slash greenhouse gases would be even more costly, the Commission warned yesterday. While the measures would cost all European consumers, Commission President Jose Manuel Barroso said: "The cost of inaction is up to 10 times more than what we are proposing." Laying out a sweeping strategy to fight climate change, the Commission called on EU members to use renewable energy and biofuels while unveiling plans to make industry pay for the right to pollute. The implementation of the climate change package will cost the EU bloc an estimated €60bn. President Barroso tried to dampen fears that this would harm the competitiveness of European companies. "Responding to climate change is the ultimate political test for our generation," Barroso said. "Our package not only responds to this challenge, but holds the right answer to the challenge of energy security, and is an opportunity that should create thousands of new businesses and millions of jobs," he added. The measures are designed to put into action the aim set by EU leaders last year to cut carbon dioxide emissions by 20pc by 2020, compared to 1990 levels. Member states gave a mixed reaction, with Germany expressing concern that the plan could lead to job losses. An ambitious €400m plan to create 1,000 jobs in Shannon over the next 15 years was unveiled yesterday. The blueprint aims to create a new town centre on a 90-acre site in an area still reeling from the Aer Lingus decision to axe Heathrow flights from Shannon Airport. The proposals include plans for a new main street and town square, as well as a civic arts centre, hotel, civic park, a primary school, clinic and an enterprise school. The plan was prepared on behalf of Clare County Council by Murray O Laoire Architects. 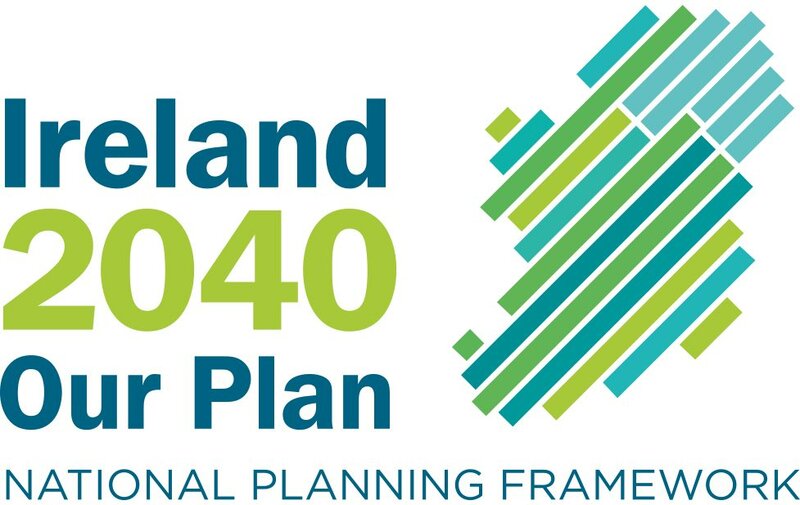 "The completed Masterplan contains an overall vision, planning framework and design guidance on the best potential development of the lands as an extension of the town centre area in Shannon,'' said Clare County Council's senior executive planner, John Bradley. "Shannon has all the traits of a suburb and few of the qualities of a town. The community needs a place and space that brings things and people together." The proposals also include 1,500 underground car-parking spaces, a network of pedestrian and cycling routes as well as technology to achieve the greatest energy efficiency. Other green energy initiatives in the blueprint include solar panels and rain water harvesting, and five hectares of parklands and wetlands of parklands. The Shannon Masterplan will go on public display in the town today. It must be approved by members of Shannon Town Council and Clare County Council before construction can begin. A subsidiary of Treasury Holdings has been given the green light by Fingal County Council to change part of a major tourism development at the 437-acre Milverton Demesne in Skerries, Co Dublin. The developer has been granted a change of use for Home Farm House on the grounds of the demesne from the previously permitted equestrian centre to a golf club house. It has also got approval to realign 200 metres of a local road running from east of the entrance of the house to the junction of the Balcunnin to Blackhills Road at St Mobhi's Well. The golf course at Home Farm will also be extended by 29 acres. Also in north Co Dublin, Balscadden Developments Ltd has been granted permission for a development of 181 houses and apartments at Flemington Lane in Balbriggan, Co Dublin. This will comprise a mix of apartments and two, three and four-bed terraced, semi-detached and detached houses. A proposal by a fee-paying school in Dalkey, Co Dublin to build a residential development on its grounds has been opposed by locals. Castle Park school was granted permission by Dún Laoghaire Rathdown County Council in December for 47 houses and apartments on a 3.7-acre part of the school grounds behind Mackey's Garden Centre. However, a number of local groups and individuals - including Dalkey Community Council, Castlelands Residents Association and the residents of Castle Close - have appealed the planning permission to An Bord Pleanála.The school has sold off portions of its landholding at Castlepark Road for residential development over the years. In the case of the current proposal, it is believed the school struck a deal to develop the lands with a consortium of developers, including David Arnold, for around €10 million subject to planning permission. The proceeds are to contribute towards a redevelopment of the school which involves new teaching and sporting facilities. In its letter to the planning board, Dalkey Community Council says the four to five-storey height of one of the residential buildings proposed is out of character with the surrounding architecture and will cause overlooking of houses in Castleclose. Increased traffic on Castlepark Road is also an issue and it says a residential development would compromise the setting of the school, where the woodlands are an integral part of the landscape. In 2006 the school was refused permission for 81 residential units on the site by An Bord Pleanála board who said the height, layout and scale of the development would seriously injure adjacent houses. A Dalkey man is challenging a proposal to renovate Santa Maria (a protected structure) on Cunningham Road, Dalkey because he says it will irretrievably alter the house which is of "architectural, historic and social importance". In his appeal to An Bord Pleanála, John Bolton with an address on nearby Cunningham Drive, also disputes that the proposed works to Santa Maria are "minor" as described in the planning application. He says they have a floor area of over 66sq m, (700sq ft) including a partially glazed double height extension with an internal mezzanine floor and provide for the division of the protected structure into two dwellings. Santa Maria, formerly called Enderly, was built by noted Dalkey builder John Cunningham in the 1890s. Playwright Hugh Leonard's father worked as a gardener on the estate when it was owned by the Jacobs family and couturier Marjorie Boland bought it after the second World War and changed the name to Santa Maria. Bolton says the current planning application is the latest in a series "leading to a step by step alteration of the nature and amenities of the protected structure". In July a group of investors paid over €20 million for a ready-to-go site to the rear of the house with planning permission for 24 homes in the rear garden of the Victorian house. It had previously been purchased at auction in 2005 by developers Wesley Curran and Graham O'Donnell of Otranto Properties for just under €10 million. It is believed that the developers intend to sell the house - which stands on 0.6 acres - after it is refurbished. The Fitzwilliam Partnership is about to submit a long anticipated planning application to build a massive mixed-use development at the Royal Liver Retail Park on the Naas Road, Dublin 12 which includes a 26-storey element. In 2005 the Fitzwilliam Partnership - which is controlled by ?? - bought the ailing retail park from Royal Liver Assurance for €60 million - €15 million over its guide price. The park, which opened in 1990, was one of the first of its kind in the country. The developer is proposing to demolish the retail park and build a high density residential and commercial development of nearly 100,000sq m (1.076 million sq ft) on the 8.7-acre site, which is close to the Luas. Spread over 18 blocks, the development mostly ranges in height from five to 11 storeys. This includes a 191-bed hotel, a medical centre, banking hall, public library and nearly 2,230sq m (24,000sq ft) of offices. There would also be a 26-storey building with 75 apart-hotel suites, a communal sky garden and an observation deck on the 24th storey. The developer is also looking to build 248 apartments, 35 shops and commercial units, and 1,076 basement car-parking spaces. Access to the site would be at three points on the Old Naas Road to the north and two on the Naas Road to the south of the site. As with Sandyford Industrial Estate, the arrival of the Luas has seen the owners of industrial sites and businesses along the Naas and Longmile roads re-evaluate their potential as high density residential developments. A detailed urban design masterplan has been earmarked for this area which is seen as one of the most important gateway corridors in Dublin. An Taisce has appealed a decision by South Dublin County Council to grant permission to Jim Mansfield's HSS Developments to retain and complete a partially constructed convention centre at his Citywest hotel complex in Saggart, Co Dublin. An Taisce says Mansfield's proposal does not address the grounds of two previous decisions to refuse planning permission for the development by An Bord Pleanála. In its appeal letter to the planning board, An Taisce says the Citywest site is not identified as a location for a major convention centre in the National Spatial Strategy for Ireland 2002, the National Development Plan 2007-2013 or the Strategic Planning Guidelines for the greater Dublin area. It refers to a submission by the National Roads Authority which says the proposal has the potential "to have a negative effect on the operation/capacity of the N7". An Taisce says it does not consider that Mansfield's company has adequately addressed or resolved this concern and says, notwithstanding the proposed Luas extension to Citywest, it "has failed to put forward an adequate mobility strategy to obviate traffic congestion and unsustainable car dependence on the site". Another concern is that the development will have an impact on nearby Tassagart House, a protected structure. Last April Mansfield scaled back his plans to a 4,000-capacity convention centre at a cost of €70 million to €90 million covering 7,500sq m (80,729sq ft). This came almost a year after An Bord Pleanála refused him permission to build a significantly larger, 6,000-capacity conference facility following appeals by An Taisce, the Heritage Body, and businessman Harry Crosbie, who runs the Point. Mansfield had previously built a steel-frame structure for the building without permission. In 2004 his company was fined €1,750 and ordered to pay costs of almost €30,000 to the council after Tallaght District Court found it had failed to comply with an enforcement order by the council to stop work on the centre. An Bord Pleanála subsequently overturned the original planning permission. However, a subsequent vote by councillors backing completion of the centre paved the way for Mansfield to submit another planning application to continue and retain the development. IN JUST eight years Ali Grehan has gone from joining Ballymun Regeneration as an architect to becoming Dublin City Architect, a job she took up this week. I put it to her that her rise has been swift. "Meteoric?" she asks. "I had valuable experience in both the public and private sector and I think that was recognised but I also think what swung it was my love of Dublin and because I live in the city centre I see how things work and what can be done that is within reach." Her appointment came as a surprise to some in the architecture world, as there were those who had spent longer in the public sector and who seemed positioned to take the job. The experience Grehan talks about includes a stint in London with Greenhill Jenner Architects, working on projects for Lambeth Borough, and Brixton in particular. Most recently she has been chief architect at Ballymun Regeneration and I speak to her on her penultimate day in her office overlooking Ballymun's main street and across the city to the Dublin Mountains. There are huge colour-coded maps on the wall showing how Ballymun has changed - and will continue to transform. In 1964 there were just a few farms here, and then the blocks went up, extending from the centre like octopus tentacles in what could have been a visionary form but were in fact dictated by land tenure: the social housing skirted privately owned fields. Despite its tower blocks, Ballymun is a low density area but that is changing. Grehan points to a chart showing how it will look in a few years time, following lots of infilling of dead spaces, with parks designed into the plan. So Grehan has seen how - on a smaller scale than Dublin as a whole - a town can be transformed and the effect that has on people. "One girl who moved out of a flat in one of the blocks to a house was thrilled that she didn't have to walk down the communal stairs in her beautiful debs' dress. Instead she could walk straight out of her own front door onto the street." Yet Grehan has also been reminded that some people prefer apartments. In one scheme designed by Ballymun Regeneration there was a combination of houses and apartments and people could choose which they wanted. "People preferred the apartments because those homes felt more spacious, being on one level with large balconies. They were grouped around a shared courtyard giving people the best of every world. It achieved a balance between their need for a private area but they could also feel connected to other apartments as part of a micro community of nine families within a larger scheme." And it is people Grehan wants to concentrate on in her new role. Right from moving to her new office where, she says, establishing relationships with staff will be one of the most important things initially, while also creating a city that has places for people. She says that cities which work best are those with distinct neighbourhoods that are connected. "Connected cities are about more that good public transport, although that is vital, it is about having a successful public realm that people enjoy walking through and where they feel at ease. "Neighbourhoods are at the centre of urban life: the connection that people have with their place is so important," says Grehan. "Part of that is about making an area a destination. For instance, people can go out for a meal in the evening in Ranelagh but not in Phibsborough, despite the latter being a nice place to live." People like to do things in their own area, says Grehan who realises that architects can't change people's quality of life on their own but they do have a role to play: "Architects can't create society, they merely reflect it." After returning from London Grehan worked in private practice, with Richard Hurley, as well as a stint on her own, "on a small scale", before joining the architectural team at the Luas which, she says, helped her learn about working on a large scale and the joys of connecting up the city. The Luas showed how successful good design could be, she says. "In every area of life we understand that if something is well designed, we will love it, we will use it and enjoy it, and if it is badly designed we won't want to do any of those things." Yet despite its success at connecting up parts of Dublin, the Luas has a glaring gap. That is a clear case, says Grehan, of how traffic dominates planning: it was thought that College Green couldn't be crossed by the tram because it was needed for cars, buses and trucks. She has just been reading Niall McCullough's book Dublin An Urban History and loved the old pictures of College Green. While there was traffic on it then - in the form of horse-drawn carriages and trams - she says that striking thing was the lack of signage. "In the city, people space is going to car space," she says, expressing a need to reclaim pockets of the city for people without wheels. Her new job means that she will now be able to walk to work from the house she shares with her second husband - an architect who is doing a masters in urban design - and teenaged children. The ability to get around on public transport, feet and bicycles is what city living is about she says - quoting a recent draft paper that said the average carbon footprint of a city dweller was 8.5 tonnes a year and that of a country resident was 11.3 tonnes. Her love for good cities is in her blood: her Spanish mother grew up in Madrid, with her five brothers and sisters, in a city centre apartment beside Mataro Park. "I remember visiting it and being entranced by this generous apartment with lots of timber. It was a lovely place and shows how it can work." The park was just as important as the apartment. "I'm interested in good places. I don't see the city as a collection of buildings but as a series of places. The spaces between the buildings are important too." And when it comes to buildings, what is her take on employing architects from abroad? "We have excellent architects practising in Ireland. We are hugely competent and know that we can do it as well as, or better, than anyone else. But it is good to have an exchange of ideas and as architects we have benefited from working abroad and bringing design ideas back. Hopefully Irish architects will continue to get major international projects and I assume architects from abroad are anxious to work in Ireland. "It is really a case of finding the right architect for a particular commission." Her predecessor, Jim Barrett, who was given a lifetime achievement award in the most recent Opus Architecture and Construction Awards, was, she says: "A ferociously good ambassador for architecture. The work he did, along with the then city manager and planner, has put Dublin on the map. "I want to take the wonderful work that has been done, consolidate it and concentrate on the public realm. The pace of change has been extraordinary and we need to continue that in a measured way. We see successful examples of cities everywhere, where people are on the streets playing and talking to each other. I would like to get the ordinary things right and have places for living, working, meeting and talking. "Don't we want Dublin to be a city for us? And it can be if it is well designed." The legal team for John Magnier's Coolmore Stud and Ballydoyle Stables has denounced plans for a bioenergy plant in south Tipperary as "fundamentally unsuitable" for the location and the "antithesis of good planning". Barrister Donal O'Donnell told the second day of a Bord Pleanála hearing yesterday that a "tranquil, pristine, rural environment" close to "the greatest racing stables in the world" was "the last place on earth" where one would choose to build such a facility. Mr O'Donnell accused Green Organics Energy Ltd, the company hoping to build the facility, of "planning opportunism" and said there was a "disturbing inconsistency and instability" about its proposals. He said it had not chosen the site in Rosegreen for its planning merits but because of its historical use for animal rendering. The company wants to process animal byproducts from meat-processing factories and other biodegradable waste and create "green" electricity and biodiesel. Avglade/ National-By-Products, one of the companies behind the venture, owns the site and operated a rendering business there until the end of 2003. Earlier, Rory Brady SC, for Green Organics Energy, called on a expert witnesses support the company's case. He introduced consultants from Germany who said the technology to be used in the Tipperary plant was fully compliant with EU legislation and was being used safely and effectively in many European countries. Dr Udo Dinglreiter, from the Bavarian engineering company R. Scheuchl, said his company had installed the technology in a similar plant in Germany and that he was "not aware of any complaint of any citizen living close to the plant". Moreover, an Irish veterinary expert said the proposed facility posed no threat to horses if it is managed properly. Dr Kevin Dodd, a former lecturer at UCD's veterinary college, told the hearing that his specialist area of interest is "the assessment of the impact of agri-industrial developments on animal health in the receiving environment". He said horses in the area had been exposed to an adjacent rendering plant for many years without any negative health consequences. Responding to concerns that leaks from the plant could contaminate water supplies and a local river, he said spreading cattle slurry on land was "much more likely to contaminate water courses". He also addressed fears that have been expressed by Aidan O'Brien, the trainer at Ballydoyle, who said that racehorses were very sensitive to air quality. Dr Dodd pointed out that "the greatest source of dust for horses arises from their own environment such as straw bedding, hay or the fabric of the stable building". Paul Barrett, project manager at Green Organics Energy, urged the Government to support the bioenergy plant which he said was the type of facility which was required "if Ireland is to meet the ambitious renewable energy targets" set out by the European Commission. Mr O'Donnell, however, accused Green Organics of an attempt to "wrap the application in the green safety blanket of Kyoto". A Wicklow County Council official has said he was responsible for switching a housing zoning in proposals for a Baltinglass local development plan, which benefited council member Edward Timmins and other members of the Timmins family, including Fine Gael foreign affairs spokesman Billy Timmins. The council's director of services for planning, Des O'Brien, said he had made the change in the interests of proper planning and development and to consolidate development within the town of Baltinglass. Mr O'Brien was commenting after councillors last week suspended standing orders to discuss the issue. Independent Baltinglass councillor Tommy Cullen called on Minister for the Environment John Gormley to launch an inquiry. At the centre of the row is a map produced by planners as part of the drafting process of the Baltinglass local area plan. The map, dated July 12th last, indicated that land belonging to the family of a local man, Cedric Hendy, was to be designated for housing. However, a subsequent map dated July 26th indicated the Hendy designation had been switched to agricultural use or green space, while land belonging to the Timmins family, and a neighbouring site, was now designated for new housing. Mr Cullen told The Irish Times the Hendy land was within 400 yards of the local GAA pitch, a school and a hospital. It was well served by mains drainage, he added. However, he insisted the area taking in the Timmins lands would require a new bridge across the river Slaney before it could be developed. The latter parcel of land was rezoned as part of the Baltinglass local area plan adopted on January 7th this year. Councillor Edward Timmins told The Irish Times yesterday that at all times he declared his interest and absented himself from the vote on the plan. In a statement he said: "At the county council meeting which discussed the Baltinglass draft plan on January 7th, I declared my interest in any land in Baltinglass and that of my family. "Where any discussions involved any of these lands, or even land adjacent to these lands, I left the meeting. So I complied fully with all relevant ethics legislation, as I always have done. "At the county council meeting in December I also declared my interest, but there was no discussion on the plan, just a short five-minute presentation by the planners. "Any zoning of any of the family land was done by the professional planners of Wicklow County Council." Billy Timmins said his family's land was closer to the centre of town than the Hendy land. It had about 400 metres of road frontage and was served for sewerage and water. Part of the family land currently had planning permission for 60 houses, he noted. He also said the zoning proposal was made by the professional planners, "who explained that their preference was for zoning land on the western side of the town in order to encourage the construction of a bridge and ring road for the town". The statement went on to say the proposals were in line with the views of the Baltinglass forum. Mr O'Brien, who is the council's director of planning, confirmed the initiative for changing the draft plan had come from him. He said the switch was made in the very early stages before a formal draft plan was established and was done in the interests of proper planning. A compass pinpointing the centre of Baltinglass would show the Timmins land was closer than the Hendy land, he added. The local campaign group opposed to the Poolbeg incinerator in Dublin has launched a legal challenge to the planned facility. Combined Residents Against Incineration (CRAI) has taken the first step of its High Court appeal against the planning permission granted for the development. The action is being taken against the Minister for the Environment, the Attorney General, Dublin City Council and An Bord Pleanála. In the papers it lodged yesterday, CRAI said Ireland had failed to transpose into Irish law its obligations under European Council directives. The group claims it is entitled to have access to a review procedure to challenge the substantive legality of the decision of An Bord Pleanála to grant planning permission for the municipal incinerator at Pigeon House Road. CRAI is made up of residents living in areas such as Irishtown, Sandymount and Ringsend. The National Spatial Strategy is not working and should be replaced by policies that favour growth in the area around Dublin, a conference was told yesterday. The radical proposals were unveiled yesterday by the Futures Academy at Dublin Institute of Technology (DIT). The academy, a group of academic staff and researchers based at DIT, has warned that no proper planning is in place to deal with the most likely scenario that counties in the eastern half of the State will continue to grow faster than other counties. The DIT warned that the spatial strategy, which envisages balanced growth, could be planning for a future that will never happen. It is proposing a transport network running in an east-west direction directly linking cities like Sligo and Dundalk and Tralee and Waterford, along with a high-speed rail link from Belfast to Waterford. The academy's draft report, commissioned by the Urban Forum (which consists of groups representing engineers and planners), points out that regional cities, with the exception of Galway, grew slower than the national average in the last decade, and that the largest growth was concentrated in the counties around Dublin. It warned that planning policies that attempt to fight the trends of where people actually live are doomed to failure and support for shifting resources from east to west may not be there in the future as the voter base becomes increasingly urban. The report envisages that by 2030 the portion of the population living in Dublin and the 10 nearest counties will increase from 53 per cent to 60 per cent, with 3.8 million people out of a population of 5.3 million living within 25km (15.5 miles) of the east coast. This will happen irrespective of the spatial strategy, the academy says. 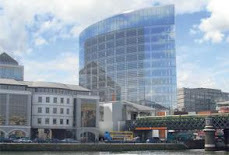 The plan was presented yesterday to the Dublin Chamber of Commerce seminar, The Future of Dublin - Imagine Dublin 2020. The chamber has endorsed the proposals. The plan's recommendations are in direct contrast to the Government's spatial strategy of balancing regional development. The strategy, which began in 2002, envisages developing nine gateway cities: Dublin, Cork, Limerick/Shannon, Galway, Waterford, Dundalk, Sligo, Letterkenny/Derry and the midlands towns of Athlone/ Tullamore/Mullingar, along with nine medium-sized hubs. The strategy, which runs until 2020, envisages that regional towns and cities would be twice the size they are now, providing a counterbalance to Dublin. European Commission president José Manuel Barroso has said sharing the burden of CO2 emissions cuts between states based on relative wealth was the fairest way to do it. He also predicted yesterday that EU states would negotiate very few changes to the commission's climate change proposal, which he described as a "historic decision". "Responding to the challenge of climate change is the ultimate political test for our generation," said Mr Barroso. "Our package not only responds to this challenge, but holds the right answer to the challenge of energy security and is an opportunity that should create thousands of new businesses and millions of jobs." He confirmed several European leaders had lobbied him in the run-up to the publication of the package but said he felt that all EU states would agree to support the proposal. Under the plan, Ireland will be forced to cut CO2 emissions by 20 per cent before 2020, compared to its emissions in 2005. The Government will also have to ensure that 16 per cent of its total energy use comes from renewable energy sources by this date. Taoiseach Bertie Ahern has written to Mr Barroso arguing that allocating Ireland among the highest cuts in CO2 because of its high gross domestic product (GDP) is unfair. Mr Ahern said using gross national product (GNP) - which strips out the repatriated profits of multinationals based in Ireland - would be a better representation of wealth. Other factors that need to be taken into consideration are Ireland's infrastructural deficit, our recent and projected levels of population growth and the relatively large size of Irish agriculture and its global competitiveness, according to the letter sent to Mr Barroso. The Government is expected to make this point when the proposal is discussed at the Council of Ministers in Brussels later this year, when amendments are still possible. The European Parliament will also get the chance to debate and amend the climate change proposal, which the commission wants to pass into law this year or early next year. Mr Barroso staunchly defended the package in Brussels yesterday and the methodology chosen to allocate individual targets to member states. He said sharing the burden based on GDP was "the fairest way to do it" and he did not envisage big changes to the proposal. "The final result in council will be, if not exactly what we have proposed, very, very close to it," he said, stressing the extensive consultation with states in the last few weeks. He also noted that some EU states were complaining to Brussels about the proposed emissions and renewable targets, while actually setting tougher national targets for themselves. Mr Barroso also shrugged off concerns from environmental non-governmental organisations (NGOs) that last-minute changes to the package to introduce a special compensation regime for energy intensive industries would hurt the environment. • Sets targets for reducing greenhouse gases and increasing the use of renewable energy. It puts into practice the EU's commitments made at the UN conference in Bali: to cut EU CO2 emissions by 20 per cent by 2020, compared to 1990 levels, and boost the use of renewable energy to account for 20 per cent of total energy. • Each EU state gets different targets based on its relative wealth. Ireland gets the highest possible target for cutting CO2 emissions - 20 per cent by 2020, compared to 2005. Heavy industry is covered by the emissions trading scheme. It must cut emissions by 21 per cent by 2020. Ireland must ensure green energy accounts for 16 per cent of total energy use by 2020. Green energy currently accounts for 2.7 per cent. • The cost of meeting the targets is estimated at about 0.5 per cent of GDP per year, which could cost Ireland almost €1 billion annually. But the commission argues that not taking action would probably cost much more, possibly between 5 to 20 per cent of GDP because of higher oil prices and the consequences of climate change. It says reducing the EU's dependence on oil and gas will also increase its energy security. • Ireland has told the commission that targets based on GDP are too severe because this takes into account the repatriated profits from the multinational sector. It wants the commission to set targets based on gross national income, which could reduce the bill to about €800 million per year. The commission says consumers will face just a 5 per cent increase in bills by 2020 due to the plan, costing an extra €150 per year. • Member states will face tighter restrictions on the use of so called flexible mechanisms and carbon credits to meet their emissions reductions targets. Under the Kyoto Protocol states such as Ireland were allowed more scope to invest in green energy projects abroad to offset higher CO2 emissions at home. • The plan also allows additional State aid to be invested in renewables and gives a financial boost to research in new technology for "carbon capture and storage", which would see CO2 emitted by industry being pumped into disused oil and gas fields. Clare's conservation officer has come under fire after a councillor claimed his intervention cost the Catholic Church an additional €4.5 million in restoring a church in Kilrush. At the council's January meeting, Tom Prendeville (FF) asked: "Is there no limit to the powers of the Conservation Office?" Mr Prendeville said conservation works at St Senan's Church in Kilrush were delayed for almost two years by the council's conservation officer Risteard Ua Croinín, resulting in the costs increasing from €1.5 million to €6 million. He said: "I am reliably informed that even the Stations of the Cross, which were removed for conservation purposes before the works were carried out at St Senan's Church, later became the subject of a tête-a-tête between the local parish priest and the Conservation Office long after the project was completed." In response, Mr Ua Croinín said it was "absolutely ludicrous" to suggest that he was responsible for delaying the project or adding to its cost. Mr Ua Croinín said he actually helped to bring costs of the project down by holding numerous meetings with the church authorities in Kilrush and issuing declarations that allowed them to press ahead with works without the need for planning permission. He said he advised the church not to lodge a planning application for additional works as they were inappropriate and would be refused. "Planning permission was refused and An Bord Pleanála also refused planning permission for most of the works." Mr Ua Croinín said he came across the Stations of the Cross in a function room. He said: "They are valuable mid-19th century crosses and I said that they had to be removed from the room to avoid coffee or drink being spilt over them." Mr Prendeville sought to dispute Mr Ua Croinín's claims. However, Clare mayor councillor Patricia McCarthy said the debate had ended. Ennis County Council's new €27 million headquarters will open to the public today - almost a decade after the proposal was first mooted. The council's 300 staff will start their first day at the new headquarters today after spending the past 18 months in various offices in Ennis. Clare's mayor, Cllr Patricia McCarthy (Ind), welcomed the opening and expressed hope that the new offices would act as a focal point not just for Ennis, but for Clare. The transfer to the new headquarters has taken place without disruption following the council and Impact coming to a resolution on the council's disciplinary procedures. Last month, Impact members voted four to one for industrial action in relation to disciplinary procedures that the council has in place. The vote threatened to disrupt the relocation to the council's headquarters, however, the two sides met last week and agreed to refer the council's contentious disciplinary procedures to a third party. Hundreds of people gathered in the ballroom of the Hotel Minella in Clonmel yesterday for the opening day of An Bord Pleanála's oral hearing about a keenly-contested plan to build a waste treatment plant in the south Tipperary countryside. Planning inspector Derek Daly said the hearing could last for two weeks. A joint-venture company, Green Organics Energy Limited (GOE), is hoping to build a facility to process animal by-products from meat-processing factories and other biodegradable waste and to create "green" electricity and bio-diesel. The site in the village of Rosegreen, is close to both Coolmore Stud and Ballydoyle stables and has attracted considerable local opposition. The opening session was attended by Tipperary TDs including Fianna Fáil's Dr Martin Mansergh and Mattie McGrath, Fine Gael's Tom Hayes and Independent, Michael Lowry - as well as local councillors - who have all publicly expressed opposition to the plan. South Tipperary County Council has already refused planning permission for the project but the company has appealed to An Bord Pleanála. Coolmore Stud and other local businesses as well as residents have also lodged appeals hoping to persuade the board to uphold the council's decision. Yesterday's formal proceedings began with a detailed submission from GOE, whose legal team is led by former attorney-general Rory Brady SC, who introduced the company's panel of expert witnesses. The project's manager, Paul Barrett, claimed that the proposed facility would help to "maintain Ireland's green image" by using EU and government-approved technology to process animal by-products and "brown bin" kitchen waste. He said the project would help to reduce greenhouse gasses and provide a solution to the Irish meat-processing industry which is currently engaged in the "unsustainable" practice of exporting its waste for incineration. Mr Barrett said the bio energy facility would process 250,000 tonnes of biodegradable waste a year, including 30 per cent of all the animal by-products and slaughterhouse waste produced in Ireland. Dr Martin Hogan, a Cork-based health consultant retained by the company, rejected allegations that the facility would be harmful to human health. He said: "Let me state as a doctor that if it were shown that this project could really damage human health, I too would be an objector." He claimed that the technology to be used in the plant is safe and effective and supported by organisations such as the EU and Friends of the Earth. Michael Cunningham, managing director of environmental consultancy White, Young, Green, said a detailed assessment of the impact of the proposed development on the equine industry and Ballydoyle was undertaken and concluded that there would be no impact. The hearing continues today.